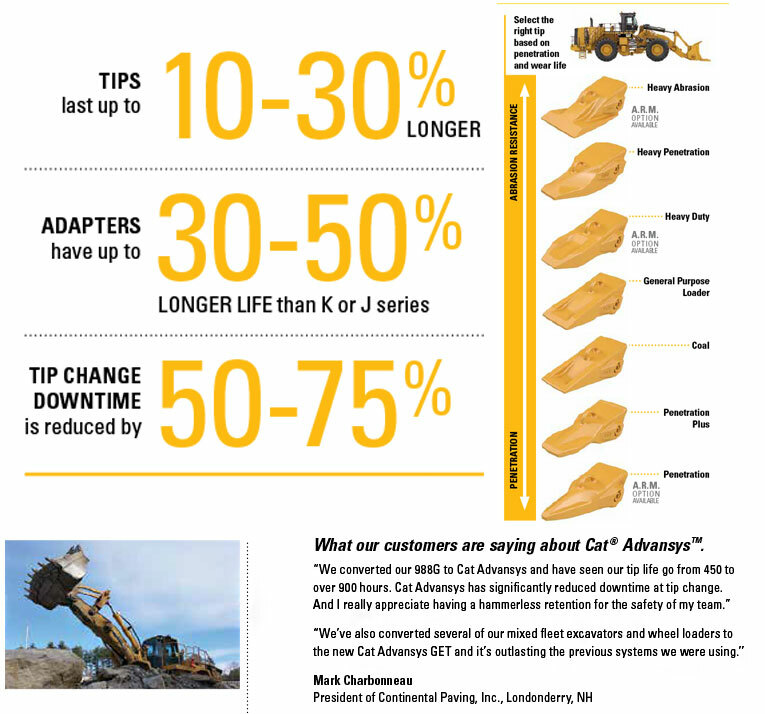 Check out the latest tip technology from Cat. The Advansys system allows you to move more material with less downtime. Built for your 988-994 Wheel Loader, the Cat Advansys hammerless system simplifies installation with integrated retention components and streamlines retrofitting adapters that drop into the same space as the K series. Exclusive performance features offer less drag and higher produtivity. Stronger adapter noses result in up to 50% stress reduction. Retainer lock requires no special tools for quickest tip removal and installation. Contact our parts and service department today for details.